The most popular short story writer of his era, William Sydney Porter (1862-1910) was born on Polecat Creek in Guilford County, and raised and educated in Greensboro by an unmarried aunt who ran a private school. Young William Sydney Porter worked in an uncle’s drug store until he moved at nineteen to Texas where he held a variety of jobs including paying and receiving teller at the First National Bank of Austin. To supplement his income, he wrote freelance sketches, and was briefly editor and co-owner of a humorous weekly called The Rolling Stone. While he was working as a columnist for the Houston Daily Post, Porter was indicted for the embezzlement of bank funds during his time as a teller. His trial was delayed for two years first by his escape to New Orleans and Honduras, then by his wife’s illness and death. Although it is not known for certain whether Porter was an embezzler or merely an incompetent bookkeeper, he was sentenced to five years in the Ohio Penitentiary. His jobs as the prison’s night druggist and as secretary to the steward allowed him time to write, and he published his first short story from prison under a pen name. 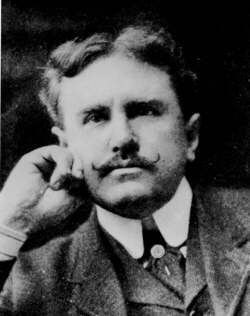 He used several pseudonyms, but upon his early release for good behavior, he chose to write as O. Henry. Porter moved to New York City in 1902, ostensibly to obtain material, although for the next few years his work continued to reflect his experiences in the southwest and Central America. All but 16 of the 115 stories he wrote in 1904 and 1905 dealt with New York, and on the publication of his second book, The Four Million, he was declared the discoverer of romance in that city’s streets. Until 1911 (one year after his death), two collections of his stories were published annually, many of them appearing first in the New York Sunday World. In 1907, Porter married his childhood sweetheart, Sarah Lindsay Coleman of Weaverville, North Carolina. He died in 1910, and is buried in Asheville. William Sydney Porter’s stories follow a standard formula, dealing with commonplace events in the lives of ordinary people and arriving at a surprise ending through coincidence. His two favorite themes were the situation of the imposter and fate as the one unavoidable reality of life. Some of his best known tales are “The Gift of the Magi,” “A Municipal Report,” and “The Ransom of Red Chief.” Stories which hark back to his North Carolina background include “Let Me Feel Your Pulse” and “The Fool-Killer.” Although his stories have been criticized for sentimentality and for their surprise endings, they remain popular to this day for those very reasons, and because of their author’s unmistakable affection for the foibles of human nature.